The Family School's founder recognized the untapped potential in young families who were struggling to break the cycle of poverty. In 1985, The Family School opened its doors in a modest setting in the back of a church rectory building in the Western Addition neighborhood of San Francisco. The Family School served approximately 25 families a year through high quality childcare for children and GED preparation, life skills and parenting classes for their parents. Today, The Family School has grown to serve more than 800 children, youth and adults annually through a comprehensive suite of programs and services which include employment training and job placement, education and support services. Throughout all of this growth, The Family School has never lost sight of the individual needs of the family. The agency has managed to stay intimate, while serving hundreds of children, youth and families. Graduates and program participants leave The Family School with a new level of confidence, ready to enter the workforce. Their communities are enriched; their children experience school success; and, their lives are changed forever. More than 400 unemployed or underemployed individuals have completed training and have been placed into employment through STRIVE San Francisco. Read these graduates' inspirational success stories. 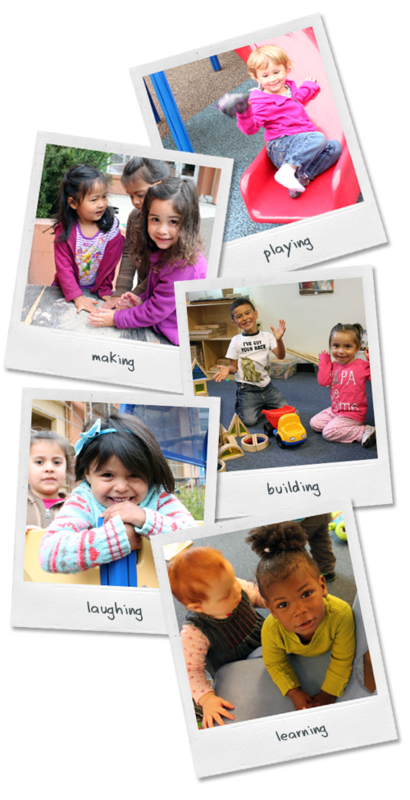 Each year, 40 or more children receive high quality, affordable childcare in The Family School Child Development Center. The Family School, 3101 Mission St, San Francisco.